Just in time for the holidays! Support small businesses and shop for yourself or shop for a loved one. Either way, don’t miss out on seven days of special deals and promotions. Visit the shops and restaurants from November 21-27, 2016 and use your passport book to save! 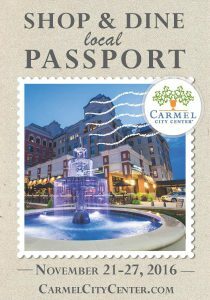 3 lucky winners will be chosen to win a $50 gift certificate to a Carmel City Center business after visiting 4 shops. Simply visit a shop, get a sticker in your passport and turn in the completed passport book to Hubbard & Cravens or Endeavor Boutique by Sunday, November 27. No purchase necessary. 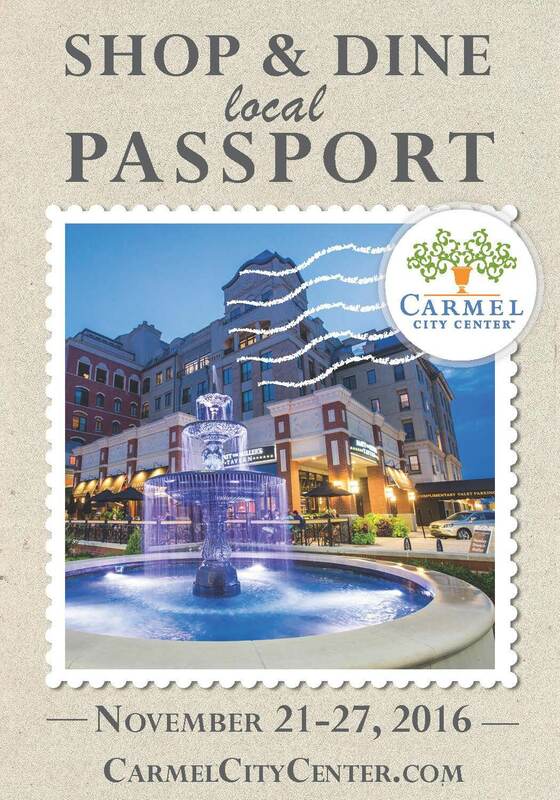 Pick up a Shop & Dine Local Passport at Hubbard & Cravens, located at 703 Veterans Way, OR Endeavor Boutique, located at 846 S. Rangeline Road in Carmel, beginning November 10. View and download the Passport here. Participating businesses include: 14 Districts Weekend, Addendum, Bath Junkie, beauty+grace, The Bike Line, blue bar, Carmel Tailoring, divvy, Endeavor Boutique, Fishman Fine Jewelers, House of Z, Hubbard & Cravens, InCycle, J.Benzal Menswear, Matt the Miller’s Tavern, Megan Danielle Skincare, Pure Concepts Salon, United Fidelity Bank and The Yoga Studio.